Our Liquid Sleep Roller is used to help you get a better nights sleep. Our special blend of organic essential oils is the perfect addition to your bedtime ritual. The combination of jasmine and lavender is a beautiful and relaxing scent that helps you unwind and get a restful nights sleep. Simply roll on pressure points behind the ears, back of neck, temples, and/or inside of wrists. 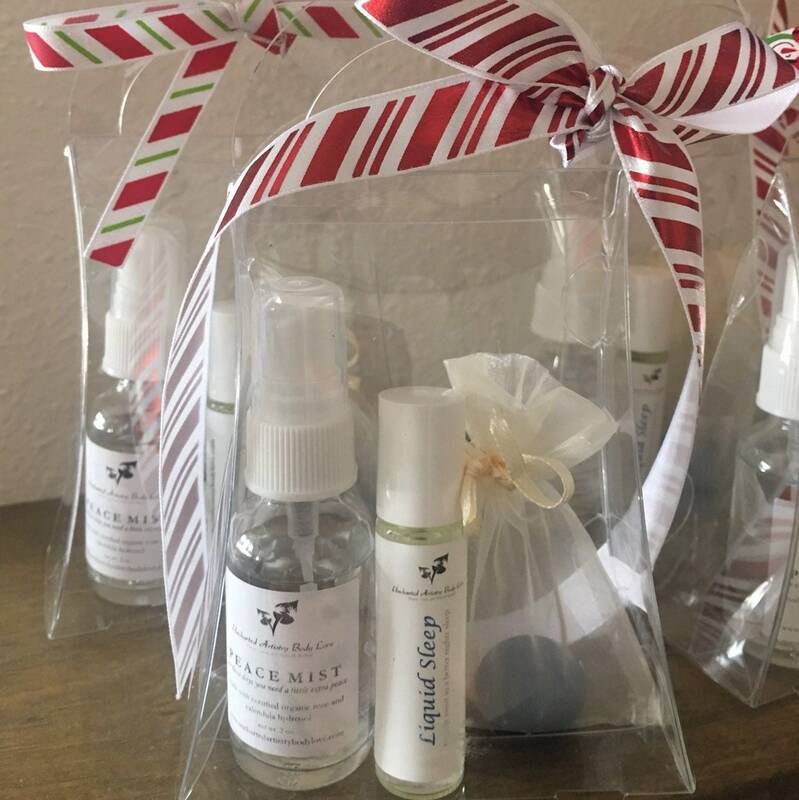 Peace Mist is a blend of White Rose and Calendula Hydrosol that will intoxicate your senses to bring peace and calmness to your skin and your day. 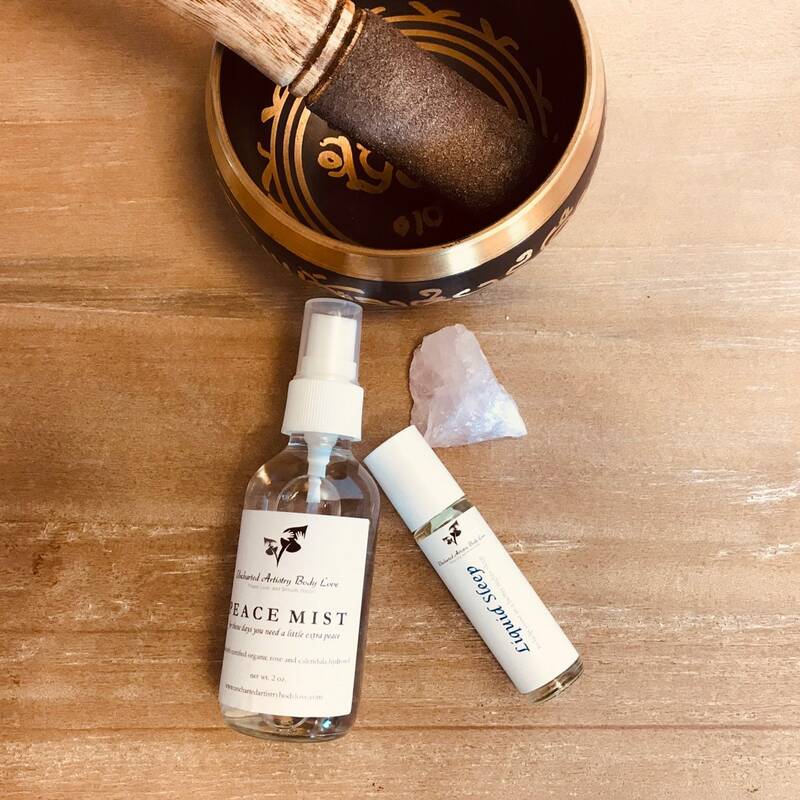 Whether you're at the office, running around with kids, or have an important interview or meeting, Peace Mist will help draw in love and calm energy. 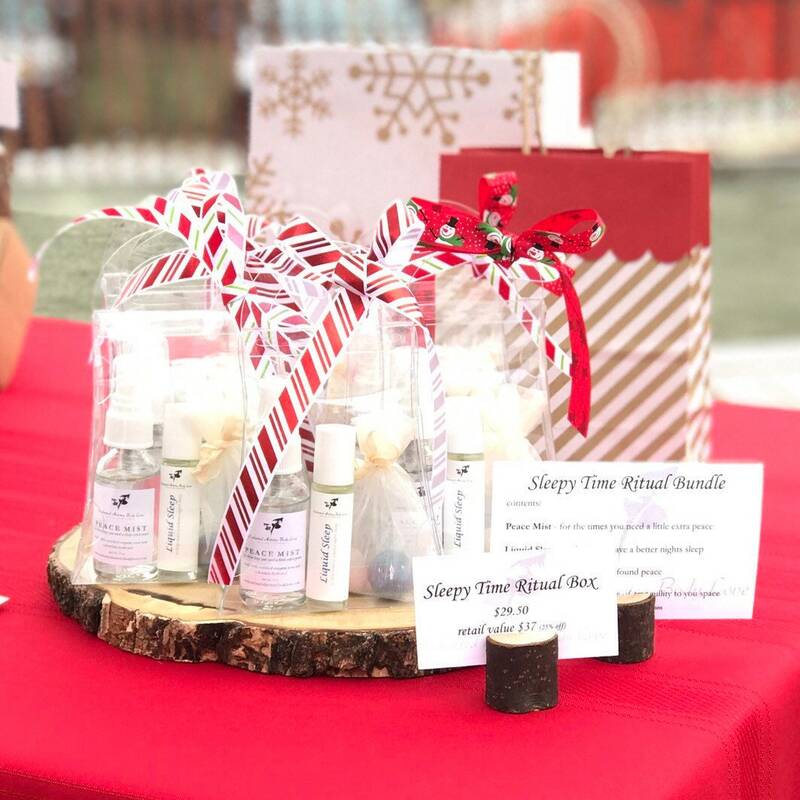 Simply mist on your face as a toner or makeup sealer, mist your pillow at night before bed, or mist your body and inhale the delicate scent and reap the benefits for your mind, body, and soul.